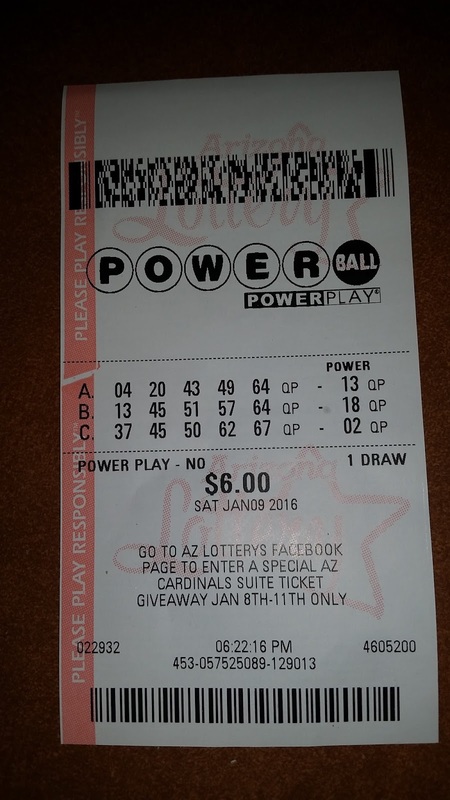 We got the powerball number correct - $4! We used the money to buy another two sets of numbers for Wednesday's drawing...fingers crossed! I'll cross my fingers for you. Last week & today are the first time I've bought any lottery ticket in a long time. Congrats on the $4.00! Wishing that some "group" would win. Wouldn't it be nice to share! Good Luck. Wouldn't it be fun to win all those millions. 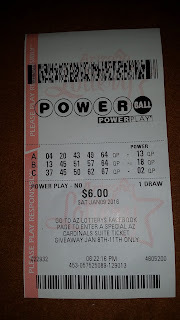 I took part in the draw when Powerball lottery raffled 1.59 bn dollars and several other draws with huge jackpot. I wasn't even close to the jackpot. So I gave up the idea and switched to Australian games. The odds are much better, check Australian lotto results. I guess the digits stand for the optimism. I can hardly express my thrill of expectation when I played for that huge jackpot online at CongaLotto review leaving alone the moment I was about to check the results.